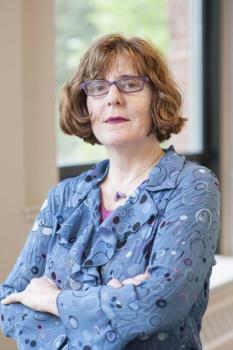 Celia Pearce serves as Associate Professor of Game Design at Northeastern. Having spent decades in the industry as well as academia, she co-founded the successful independent game festival known as IndieCade. Of her own work in the field, Pearce describes it as ‘social entertainment experiences’ that utilize both physical installations and interactive media. She brings her enthusiasm and extensive knowledge to the classroom, where NU students learn how to problem-solve and make an impact in an ever-changing field. ACR: Celia, I want to start off with you. When did you get hooked on video games, and how did you pursue it as a career path? Celia Pearce: I’m of the age where video games weren’t really a thing yet when I was in high school, but my sister and I used to go to Santa Monica Pier and spend hours in the arcade playing Skee-ball and Air Hockey. I played a lot of pinball in college, as well. (Career-wise), I fell into game design by accident. I was hired at a company in New York- ESI Design- that designed games for attractions and museums. It had never occurred to me that I could become a game designer, but I had interests in writing and film and I loved board games as a child. I have always preferred multiplayer face-to-face games. The tabletop edition of Pong was my favorite when I first started working on games. The first single player PC game I fell in love with was Sim City. I remember playing it on a black Apple Macintosh and I thought it was amazing. It gave me a glimpse of what computers could do if they were really stretched. This and a lot of playtesting of our own games really planted the seed for my fascination with emergent behavior. ACR: Eventually, you turned your attention to research and academia. What was it about Northeastern’s Game Design program that lured you to it in 2014? CP: I was making a post-tenure career shift, trying to focus more on my creative practice. (I taught at) Georgia Tech where I made games, bu since I was in a humanities department (at GTU) the emphasis was on publishing. I’d co-founded IndieCade in 2006, and spent a good deal of time exhibiting other people’s games. IndieCade, along with my students, served as a kind of muse for me. Part of what appealed to me about Northeastern was the prospect of being within an art department, and building a new program that was more art than computer science centered. I’d already designed a few programs in the past, and I worked closely with the faculty, including Susan Gold who was Associate Director when I started, to build a BFA that emphasizes the creative, artistic and expressive aspects of games, which was the topic of my dissertation and my book Communities of Play. ACR: Thanks in no small part to your efforts, Northeastern enjoys a stellar reputation in game design today. Tell us a little about your students and their capabilities. CP: The students at Northeastern are great, and game design tends to attract super smart and creative ones. I get a mix of CS and art students. Our BFA has attracted a particular type of aspiring practitioner who is interested in art and activism. This has really dovetailed nicely with where my own work is going so I always have amazing students working on my projects. One thing I’ve noticed about the current college generation is that they are very autodidactic; they are really good at learning and teaching themselves and each other new things. This counters the perception of them as passive media consumers. Many of my students arrive as freshman with portfolios that look like they were done by a professional; most 18 year olds know how to build a website, create a podcast, shoot and edit a video. And they are very passionate and engaged. I rarely have to hassle my students about using cell phones in class. For the most part, they are wide awake and absorbing everything. ACR: You teach an experimental game design course. What are the nuts and bolts of it? CP: Experimental Game design is a very early class in our sequence which really situates games as an art practice. It is a bit of a hybrid art history and studio class, where students are introduced to 20th Century avant garde art movements that utilized pay and games in their repertoire. This includes Dada and Fluxus, as well as performance art. Often their minds are kind of blown by this work; it really opens up a whole new way of thinking about games. They are then asked to create artworks using tactics developed by these movements. The class is very low tech. They can create digital games if they want but it’s really about developing their unique voice and aesthetic, as well as working on your iterative design skills. It works in tandem with the Rapid Idea Prototyping class, where they make a lot of really quick mock ups in teams. It’s a really fun class to teach, and we do some wacky exercises like staging a “Happening” in a public location on campus. A lot of these traditions form the foundation of contemporary pop culture, as well as artgames, so they recognize appropriation from the music videos they watch. We also look at how these movements influenced contemporary artgames. So the class uses the past to bring them right up to the present moment. ACR: You worked with some of your students to develop a project titled, ‘Who Is R. Mutt?’ What’s it all about, and does augemented reality allow you to explore themes in a multiprongued way that wouldn’t be available otherwise? CP: Who is R. Mutt? is a great illustration of how my practice, teaching and research are synergistically intertwined. The impetus for the game came out through research I was doing to update a lecture for the Experimental Game Design class. I stumbled into this rabbit hole regarding a historical controversy over the attribution of the infamous “Fountain,” a urinal tipped on its side under the pseudonym R. Mutt, which was later voted the most important artwork on the 20th century. The original work was lost, and it was always attributed to Marcel Duchamp, who took credit for it later in his life. However, archival evidence has since emerged suggesting that Duchamp was not in fact it’s creator. So Who is R. Mutt? uses some of the tactics I teach in the class such as appropriation, across multiple media that includes AR, to introduce players to this controversy. The game plays like a “who dunnit,” using historical research as its central mechanic. It combines web, live action, and mobile components. For the AR component we’ve created something called the Hidden Histories App. It came about because we were finding that the buildings and sites associated with the story were either gone or transformed to a new purpose, and we also liked the idea of placing historical characters into scenes. So if you go to certain locations, you’ll either see buildings that no longer exist, or characters as they might have appeared in that location at that time. ACR: Is it fair to say that game designers are the new ‘Renaissance Men and Women’, having to possess broad skillsets and interests? ACR: Given the rapid advancement of technology and market shifts, how do you prepare students for what may await them in their careers down the road? CP: One of the things you have to do when you’re teaching in a University is anticipate what the world will be like in 5 years when your students graduate. We are in a transmedia moment where there is a massive proliferation of new platforms. Because I’ve been at this for so long (35 years if you can believe that) I’ve worked on literally dozens of platforms. The third wave of VR, which is really the moment when VR is becoming a reality, STARTED when current graduates were freshman. Now, you can build a whole career around it... a mere five years later. We’ve had Oculus Rift Devkits in our lab since the first generation was released. Because we knew this was coming down the pike, we wanted to teach our students to be responsive and flexible, as well as creative at pushing the affordances of these new media. I’ve been very lucky in that I tend to be one or two steps ahead of the curve, which is important if you want to be timely in your teaching. Otherwise you are going to teach them skills that will be obsolete by the time they finish school. ACR: What other industry trends do you see growing in the coming years for your graduates, Celia? CP: Recent studies have found that half of all working game developers are indie. This is reinforced by my experience in running IndieCade. We went from less than a hundred submissions to a thousand in a few short years. I think independence is the present and future of games, and the BFA was designed specifically to address this. While half of our kids will go on to work at a big studio, the other half will be working for smaller companies or doing things like VR contracts for industry, or founding their own companies. They are going to need to know how to make games with few resources, in a way that the generations before them were not really forced to do. They’ll also require some business savvy. Boston is a great place to be for both VR and indies, and in the latter case, I’ve made a point to hire working indie developers as part-time instructors. And what ends up happening is the hire the kids for co-ops and experiential learning opportunities, which is a feature of Northeastern. ACR: The game industry has been under the scope for its male-dominated ranks for years now. What’s your take on where things are gender-wise in games, and what needs to happen to achieve more parity? CP: I could talk for an hour on this topic alone. As female professor standing in front of a classroom of students, I’m sending them a very different message form what the mainstream game industry gives them. Many years ago when I started teaching I realized that I was going to be teaching predominantly male students, so I decided that the road to change was to raise a generation of male feminist game designers. This generation in particular is very open to that. It empowers the girls and gives the boys a new awareness of the implicit and explicit biases that exist in the industry. So when they go to work in industry they are going to have a heightened awareness about inclusiveness. And that’s really what has to happen for anything to change. My other tactic is using art as a gateway drug. There are a lot more women in our BFA than our CS-centered BS degree program. At the same time, girls are wanting to learn Unity and programming in service of their creative ends. We’ve known this for a long time: generally speaking, women want reason to build technical skills. If they have something they want to express or accomplish, they’ll do whatever it takes to get the job done. CP: Yes, it seems that games programs are producing on average about 30% female graduates, with some being quite a bit higher. The problem now is getting game studios to hire them. One of the biggest barriers is that game positions often have a multi-year prior experience requirement- even if the student has done a Co-Op or made an award-winning indie games.This perpetuates the current demographic. If HR departments would be more open to hiring people just out of school, I think they’d see the beginnings of a tip in gender equity. But this is the kind of a vicious cycle that keeps repeating itself. My research and others have shown that teams with more women create games that appeal more to women- The Sims being the biggest case in point of this. More importantly, these games motivate women to want to design games. There is also a myth in the game industry that women don’t play games, which is completely false: about half of video game players are women. So it’s just one of these kind of “conventional wisdom” things that is provably false. This goes back to my interest in indies. Although still male dominated, the indie option gives women a little more of a creative voice, and I think that allows for a new aspiration and career trajectory. ACR: On a different note, you spent this past summer in a resident artist position at Blast Theory in the UK. Is it important to you that you keep pushing your own creative envelope and developing new skills from the standpoint of your role as an educator? CP: Creatively, I tend to go off the beaten path. Wherever everyone is running, I usually run in the opposite direction. I’m totally over VR. I did that in the 90s. I’d rather work on arduino-based games, pervasive games that intersect with the real world, or live immersive theatre and live action roleplaying. I’ve just received funding from the College of Arts, Media and Design at NU to collaborate with a theatre faculty member on The Analog Holodeck Project, which is a creative research initiative that looks at participation in immersive theatre. In fact, that is part of what I’m working on at my UK residency with Blast Theory. They were really a pioneer in the alternate reality and augmented reality genres in the mid 1990s. I get bored easily so I am always looking for something new to do. And I bring my students along for the ride. They are my collaborators and they inspire me. I feel like I learn as much from them as they do for me. I’ll never get tired of that. ACR: Lastly Celia, what do you enjoy most about your role at NU as well as your role as a game designer during this moment in history? CP: I have a Mary Poppins quote in the footer of my emails, “In every job that must be done there is an element of fun. You find the job and snap! The job’s a game!” She’s like my patron saint. She makes everything fun. I love to experiment, to try new things, to open up new possibilities. It’s really fun to step off a cliff and say “Here’s a weird idea. What if we try this?” with no idea of what the outcome is going to be. And I love taking that ride with my students. Sometimes they look at me like I’m crazy, but then later they totally get it.